Our smart district is producing a lot of information. Our “SmartHome GrowSmarter” research study for example will look at the feedback that the volunteer tenants will give from the use of Smart systems in their energetically renovated houses. Open Urban Platforms such as the one developed in GrowSmarter, including our Urban cockpit, is becoming a reference for smart cities. RheinEnergie found a manufacturer (homee) who is going to equip the Smart Home system with an interface that enables AGT to collect and measure the required data. The aim of the study is to investigate the impact of Smart Home systems on users' quality of life and potential energy savings. Every tenant who lives in one of the 16 energetically renovated houses can apply to participate in the “SmartHome GrowSmarter” research study. RheinEnergie offers to install up to 50 free systems. Participants will receive a SmartHome system worth approx. 1.000€ (including installation) which they can keep after the end of the study.participants must agree to share their experiences in surveys which will be sent out at least quarterly. The data will be evaluated anonymously and confidentially by the technical university of Cologne (TH Köln). With the SmartHome system provided, tenants have an open system that can combine different radio protocols and components from many different manufacturers to set up individual SmartHome systems. The research study decided to use the radio protocol Z-Wave. The tenants received the homee base cube, the Z-Wave radio cube and various matching components, such as the smart heating thermostat, window and door sensors and smart plugs to measure the electricity consumption. The base cube collects information, processes it and stores it locally. It acts as the central control over the smart components. A Wi-Fi connection allows the control of the connected devices via smartphone or PC. To connect more sensors or actors you can add more cubes to the brain cube which support other Smart Home radio protocols like Z-Wave, Zigbee or EnOcean. The Smart Home system allows a comfortable control of lights, heating, etc. via Smartphone from any room. You can, for example, check that all windows are closed while being away from home. At both informational events on March 24th 2018 and on May 17th 2018, the project partners RheinEnergie (with the TH Köln) and AGT had a display wall to explain the system and the extra components to the tenants and show them its advantages. The European Innovation Partnership for Smart Cities and Communities (EIP-SCC) exists since 2013 and now has more than 5,000 affiliates in over 31 countries. The EIP-SCC discusses central questions of the Smart Spatial Development. 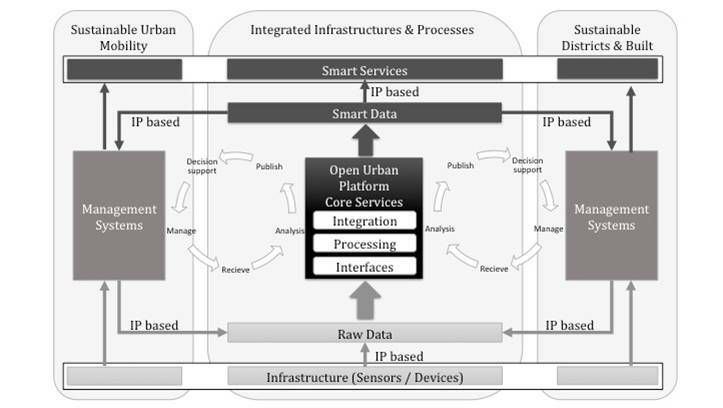 A central finding of the Cluster “Integrated Infrastructures & Processes” is the need for open urban platforms prerequisite for the rapid implementation of intelligent solutions in the cities that can be used by the various actors in a city. The first step in this direction has been made by the Urban Platforms initiative, which comprises three areas: the demand side, which is mainly represented by cities, the supplier side, and the standardization. With a Memorandum of Understanding (MoU) “Towards Open Urban Platforms for Smart Cities and Communities”, the initiative aims to provide broad support from the industry for the implementation of open solutions. Currently, 44 companies from the industry have signed the memorandum. On the demand side, a declaration of intent has been signed by the 24 cities and two city networks, which will help to develop the core requirements for open, urban platforms. [ui! 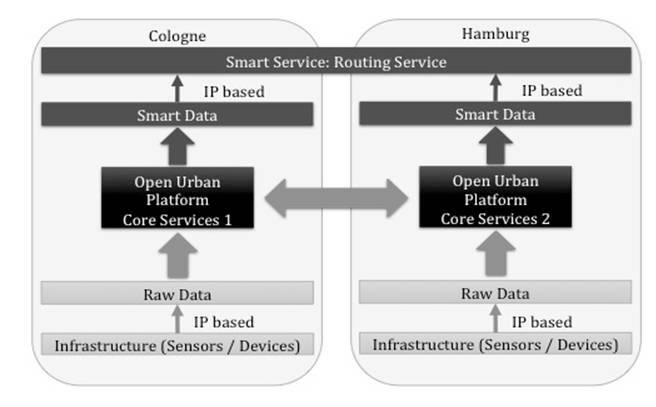 ]UrbanPulse is one of the first urban platforms that has been aligned to the reference architecture of the MoU and thus the open urban data platform of Cologne according to GrowSmarter's “Integrated Infrastructure” measure “8.1 Big consolidated open data platform” conforms to the reference architecture. DIN SPEC Open Urban Platform (OUP) The German standards organization DIN has picked up the activities of the Action Cluster Integrated Infrastructure and Processes on the MoU and developed an “Open Urban Platform” with a regional consortium consisting of members from cities, operators, vendors, and academia the DIN SPEC 91357. The reference architecture of the MoU has served as a sound base as depicted in the figure below. Both core partners of WP3 in Cologne, the City of Cologne and [ui! ], were members of the DIN SPEC team and provided strategic guidance. As consortium leader, [ui!] orchestrated input also from other members working in SCC01 projects such as Triangulum, Smarter Together and mySMARTLife. Urban COCKPIT The GrowSmarter Cologne Urban COCKPIT is a solution developed on top of the open urban platform and is based on the [ui!] COCKPIT. It is designed to support analytics of real time data. By integrating, processing and visualizing data, a proof of concept can be done proving that the data is really available and in good quality. This is an important step for using and offering the data for value added services. The WebAPP has been developed for GrowSmarter to provide insight in the different measures implemented in Cologne. It gives decision makers an easily understandable overview of the current and historical state of the pilot implementation. This includes traffic and parking loads, parking situations, energy consumption and production and mobility stations. All data is provided by the infrastructures and does not include personal data. It will be used to understand which data is available, at which quality in a human understandable way. It serves therefore also as a communication tool with other departments within the City administration as well as with external parties. The indicator on the left side of the Urban COCKPIT main page is pulsing and gives information of the current “pulse” of the city. In case of large traffic loads, much pollution, bad parking situations, high amount of non-regenerative energy consumption, etc. the pulse is very high which indicates the city suffers from “stress”. On the right side, different tiles or certain Smart City indicators are arranged. The timeline on the bottom of the cockpit can be used to see historical states of the city. Federation of Open Urban PlatformsWithin the DIN SPEC 91357 and in alignment to the MoU, the federation of open urban platforms has been addressed. A federation allows different urban data platforms to exchange data in a transparent way thus that smart services in any given city can benefit from data sources even outside of the city as well as deploying smart services into other cities. The below figure provides a schematic view of such a federation depicted from the DIN SPEC 91357. Our vision is therefore to connect the urban platforms within GrowSmarter across the three GrowSmarter lighthouse cities Stockholm, Cologne and Barcelona and if applicable between lighthouse cities and follower cities. This way, we allow for more smart services to be developed and thus creating an even larger ecosystem adhering to our ambitious goal of prosperity and growth. Read about Barcelona's first lessons learned from the implementation phase of low energy district solutions: learn the importance of business models, regulatory framework and finding value proposition for energy consumption visualization platforms. Get more details on the refurbishment of the Escola Sert center, a part of The College of Architects of Catalonia (COAC). The main objective of the GrowSmarter work package called "Low energy districts" is the deployment of energy efficiency measures to reduce the environmental impact of the existing building stock in cities. To date, we have already reached the stage within the GrowSmarter project where practically all measures are completely executed and the corresponding monitoring phase has started. This has allowed the collection of the first conclusions and lessons learned from the last 2 years of implementation work required to make the proposed measures reality. In total, 123 000m2 of constructed surface area have been refurbished in the three Lighthouse cities (including private and public buildings, tertiary and residential buildings), and local energy generation has been promoted by connecting buildings to District Heating and Cooling networks, on-site renewable electricity production, and advanced smart energy management of the local energy generation. The project has also promoted the deployment of Home Energy Management Systems to raise awareness on energy efficiency among the citizens. In this context, each Lighthouse city has implemented Smart solutions of different nature but with the same goal: the demonstration of measures leading to a more energy efficient city building stock. Explore feasible business models behind the private building energy retrofitting in relatively low heating demand areas (Mediterranean zone): The industrial partner responsible for the demonstration of private building energy retrofitting in Barcelona highlights the general need for Public-Private partnerships and, in case of commercial buildings, the need for agreements between building owners and operators. In Barcelona, the feasibility of actions related to the energy retrofitting of private buildings by an industrial partner has been possible through the figure of an ESCo (Energy Service Company) that has promoted Public-Private partnerships in order to find a favourable funding for the building owners. Define the value proposition of energy consumption visualization platforms prior to installation: The two energy consumption visualization platforms deployed in Barcelona have shown different value propositions. The Municipality deployed the free Virtual Energy Advisor, which aims at empowering citizens to decrease the electricity consumption in the residential sector. The local utility GNF deployed a commercial HEMS (Home Energy Management System), which will increase consumers’ energy efficiency awareness while providing valuable information on energy consumption consumers’ habits. Consider the strong dependence on National regulation for the implementation of Self-consumption systems (Photovoltaics + Battery systems) with Smart energy management systems: Considering the existing regulation in Spain at the time of the GrowSmarter project’s implementation phase, a distributed photovoltaic (PV) energy generation installation can only feed a single consumer. Hence, in order to implement this measure, the PV systems had to be installed at the common rooftop of the residential building and can only satisfy the common end-uses of the building (i.e. elevators and lighting). Moreover, the current legislation does not allow any retribution from the injection in the grid of surplus renewable electricity generation. This limits the possibilities that the smart energy management can offer. Sert School is a continuous formation centre through which The College of Architects of Catalonia (COAC) offers a systematic program of training and accompaniment to the professional group. The College of Architects of Catalonia is an institution, established in 1931. Its building was built between 1959 and 1962 and it is located in Plaça Nova, Barcelona. The project will affect the College building’s façade where the Sert School will be located after the refurbishment. This is a protected building catalogued as historical heritage. Therefore the intervention has been designed and executed respecting the composition and aesthetic of the original building while improving its energy performance and comfort. On February 2017, the final agreement between Gas Natural Servicios and COAC was signed in order to take part in the GrowSmarter project. At that moment, COAC was already carrying out a global reform, not limited to an energy refurbishment. The municipal permissions were obtained during 2015. The scope of Growsmarter within the global project consists in implementing façade-integrated PV plant and a Building Energy Management System (BEMS). The implementation started in June 2017 with the PV glass and the electrical installation engineering. The works related to the façade started in October 2017 and they finished in January 2018. The Building Energy Management System (BEMS) was installed once all the refurbishment works finished. The collaboration is taking place under an Energy Services contract, through which the Energy Services Company (Gas Natural Servicios, GNF’s ESCo) provides a turnkey solution and performs the investment in exchange for an annual fee. GNF is responsible for the PV glass supply and its integration in the building electrical installation and also the design and implementation of the BEMS. Implementation of a 19.5 kWp façade-integrated PV plant for self-consumption. Specific photovoltaic glasses have been selected taking into account both technical and aesthetic properties. 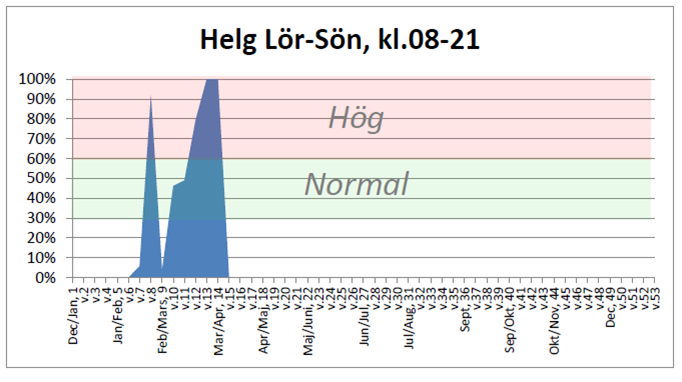 Data gathered by the BEMS will be used for better energy management by the building operator resulting in further reductions in energy consumption that achieved using that data. In addition, one of the main aspects to highlight in this refurbishment is the definition of an optimal PV installation design integrated in a building façade, minimizing the visual impact and maximizing the power production that can be obtained through self-consumption.